The neighbourhood was originally settled back in 1793, by the Ashbridge’s family, who moved here from Philadelphia. The Ashbridge’s family, along with a small group of pioneers, originally farmed the beaches area until the end of the 1800’s. 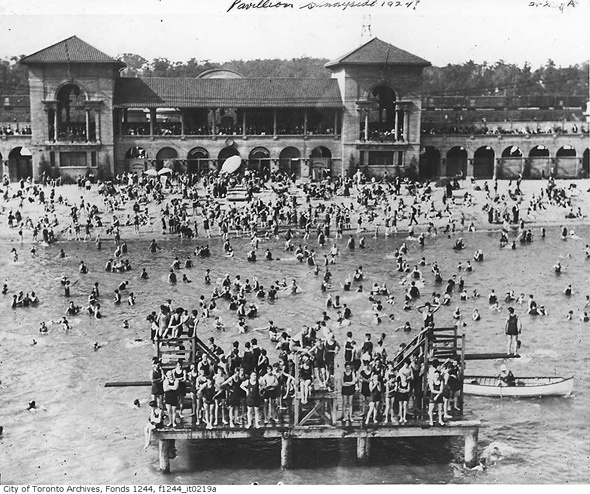 By the 1870’s, The Beach became a summer resort for the general public of Toronto – which lead to parks, schools, churches, and post offices to open. However, in the 1910’s, the government bought the land with a plan to open the area as a “public recreation site” (with no commercial establishments). But regardless of their plan, the Beaches Park opened in 1932 and to this day, is a vibrant street with an eclectic mix of shops, cafes, pubs and restaurants. 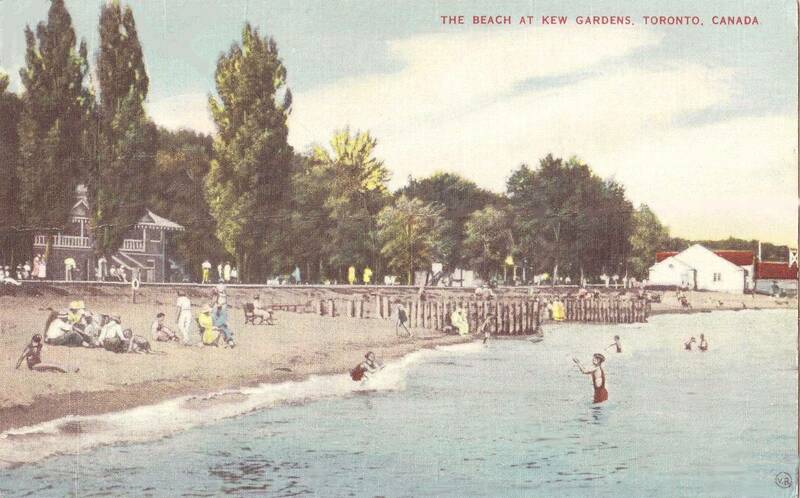 Balmy Beach – which is now one of the Toronto Beaches – was a summer play area that was built in the 1870’s (around the same time that streetcars and boat services started reaching the district). In 1902, a few Toronto residents wanted Beech Street – the street leading up to Balmy Beach – to run right through the promenade to the water (which would overrun the play area), however, others petitioned to keep the stretch as a recreational area. An act passed in 1903 to do just that, allowing for an enclosure for the park, breakwaters, tree clearing, and other improvements, as well as setting the hours of operation. The Balmy Beach park officially opened on June 20, 1904. Today, the park features a lawn bowling club, a playground, outdoor fitness equipment, trails, and off-leash dog areas. Before the amusement park opened, the land had been owned by Thomas O’Connor, who used it as The House of Providence Farm. Upon his death in 1895, the land was inherited by The Sisters of St. Joseph’s, who tried to sell it to the city of Toronto, but it was deemed too expensive. The Sisters then sold it to Harry and Mabel Dorsey in 1906, who wanted to open an amusement park on the site modeled after New York’s Dreamland and Luna Park at Coney Island. In March of that year, a contest was held to name the spot which then opened June 1st, 1907 as Scarboro Beach Park. Unfortunately, the site was sold and the park was closed to make room for a new residential area, but you can learn more about its extensive history here. Kew Beach opened in May 1879, after the area began to be serviced and reached by rail and ferry. Just like Balmy Beach, Kew Beach’s surrounding area became a village of its own with churches, schools, a post office, and many other public and private buildings – it even had its own fire station. As the area started to develop, many buildings began to rise as the region was desired for summer and year-round residences. In addition, there were also a great number of camping sites for those that were looking for inexpensive and short stays during the summer months. The best part is, the park and beach are still open and available to the public to this day! 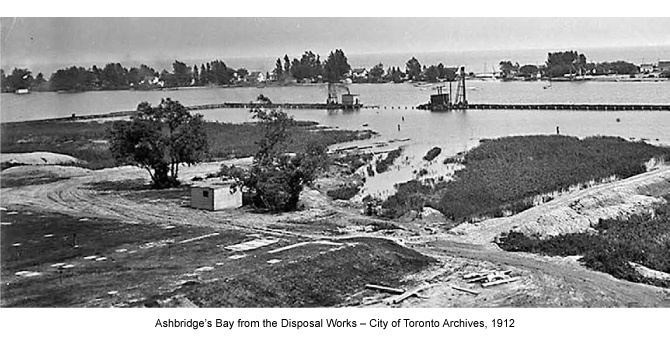 Ashbridge’s Bay is a body of water that was once part of the marsh lands east of the Toronto Islands and Toronto Harbour. The bay was named after the Ashbridge family that settled in the neighbourhood in 1763 and resided in a farm nearby the bay. Before the 1900s, the bay was used to collect ice during the winter months, but this stopped after the bay became so polluted that the water became unsafe. The current bay is no longer polluted, and is surrounded by marinas, the treatment plant, and small trees. 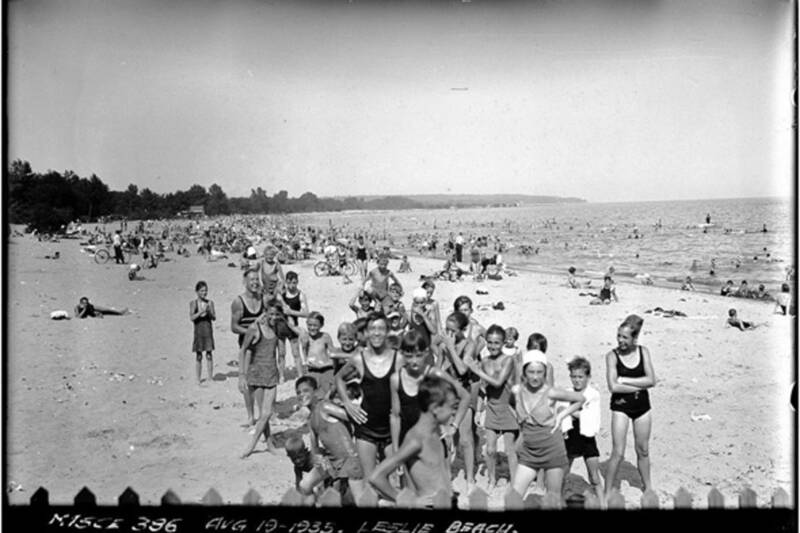 The Woodbine Beach area was once a cottage community – similar to the communities on the Toronto Island – but today it is known as a popular beach hangout for family and friends. You might not know that, in the 1950s, before Lake Shore Boulevard was extended to Woodbine Avenue, Woodbine Beach was not a bathing beach, but rather a wooded area known as “The Cut”. The Cut was far different than any other part of the city, it was a dark, forgotten-about area where you could find the odd teenager and their friends. Today, Woodbine Beach and the neighbouring Ashbridge’s Bay are popular places to visit to see the fireworks on Victoria Day, Canada Day, and Labour Day. We hope you learned a thing or two about the interesting history behind Toronto’s waterfront. If you are interested in living in the area, we encourage you to learn more about our newest project WestBeach Condominiums on Queen Street East. Please visit us at www.westbeachcondos.ca or https://marlinspring.com// to learn more.